It’s almost like a game; finding ways to make something useful out of the overlooked, forgotten, or discarded bits in the kitchen. It’s the bread and butter of having a successful restaurant kitchen, and a habit that’s second nature to chefs. Most of the good ones have something I think of as a “flavor philosophy:” extracting every nuance and intensity of taste from every ingredient we handle. I’m starting a new category on the site, where I share ways to build flavor, save money, and get the most out of the food you buy. I’m calling it Chef’s Tool Kit. I hope these techniques will inspire you to try new things and surprise your family with new flavors. I first discovered this at the Boston restaurant I worked in just out of culinary school. I was at the bar food station, and where there was a pot of herb-infused olive oil on the station at all times. I used it for brushing bread for bruschetta, coating the bottom of sauté pans before cooking menu items, even dipping parsley leaves into before garnishing a plate, so they’d be shiny and not wilt on their way to the table. Best of all, it’s made from the part of herbs that most people throw away without a second thought. After washing the herbs and stripping the leaves, the leftover stems have a lot of flavor to give. Extracting that flavor is simple. All you do is submerge them in mild olive or another neutral oil and simmer them until no more bubbles appear. At that point the flavor oils from the stems have migrated to the oil they’re swimming in. After cooling and straining, you have the first layer of flavor for lots of things. Sauté your onions for rice pilaf. 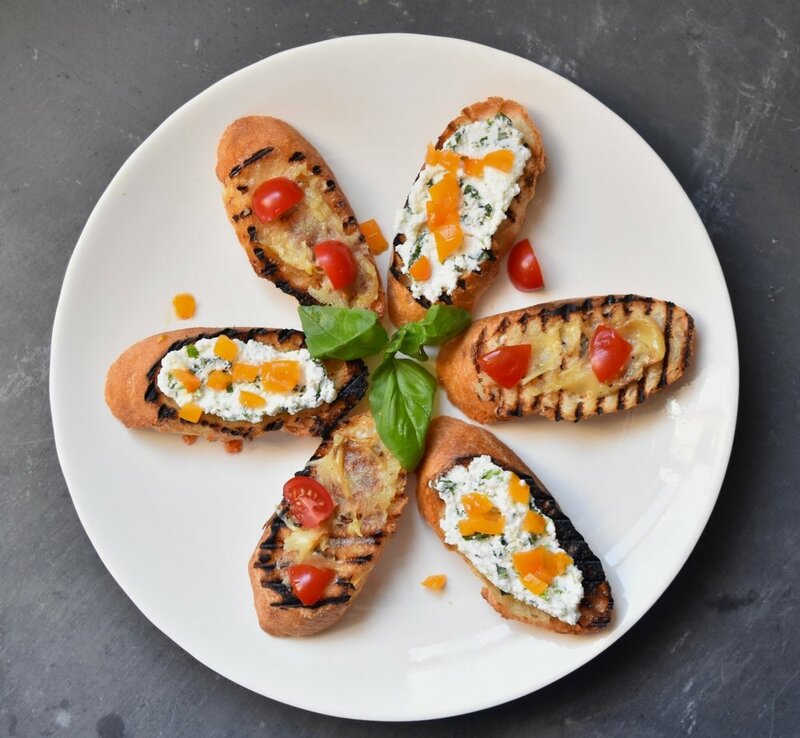 Brush sliced baguettes with herb oil, grill to toast, and top with herbed ricotta, roasted garlic, and tomatoes. Break a head of garlic into individual cloves. Trim any hard root ends off, but leave the cloves in their paper "pajamas." Roast at 350°F for 20 to 25 minutes, until soft to the touch. Much easier, faster, and less messy than roasting a whole head of garlic; also less waste. 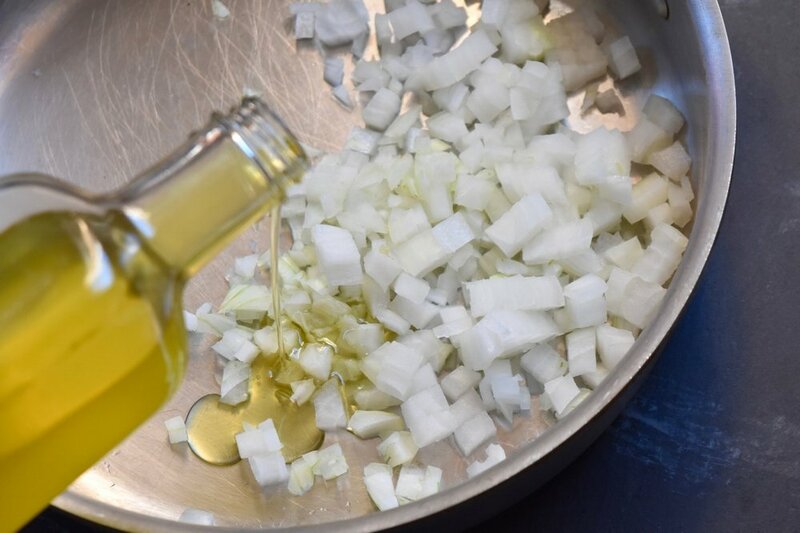 Save the oil from the pan to mix with butter for easy garlic bread. ... or roast some garlic cloves in it to make a quick smear for garlic bread. Toss your potatoes or root vegetables in it before roasting. My pizza dough often consists of sourdough starter, semolina, salt, yeast, and flour. Add it to your pizza dough for a little extra flavor kick. Toss hot pasta in it and finish with diced fresh tomatoes and fresh herbs. Place the washed stems in a saucepan, cutting the larger stems into 2" pieces. You can pack the stems lightly into the pot. Pour in oil to cover, and put the pan over medium to low heat. The water in the stems will sizzle a bit; as the water cooks away the herbs flavor will move from the stems to the oil. Cool and strain into bottles to use. That's it! If you want to share the love, put on a nice label and give to your favorite cook. Summer heat works its magic. The soul of Southern comfort food.